Then: Sally Ann Cuffie, shown here at the Eric Williams Medical Sciences Complex after she sustained injuries as a result of a stratch bomb attack, as she attempted to save her two grandchildren from the blast. It's been a little over a year since Sally Ann Cuffie’s life changed drastically. The Talparo grandmother says she thanks God everyday that her life was spared when an unidentified man threw a lighted scratch bomb inside of her son’s car on October 29, 2016. Cuffie, 49, and her family were out for a drive that Divali night to see the deya displays, a tradition she loved from her childhood. When the scratch bomb was flung into the vehicle that night, Cuffie tried to save her six-month-old granddaughter, Christa, by throwing the scratch bomb from the car but it blew up in her hands, severing pieces of her fingers. No one was ever arrested for the act. 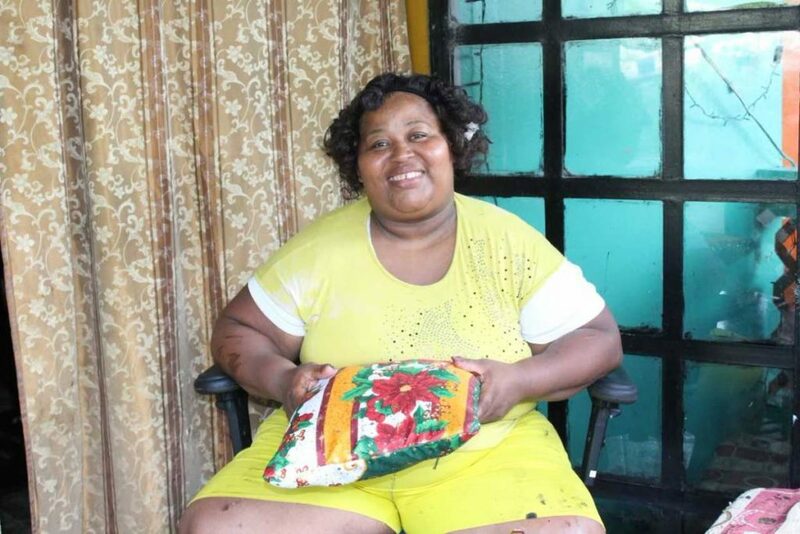 Unable to work since the scratch bomb incident shanged her life, the former firearm officer, plants ochro, sorrel and other vegetables around her house to help offset her food bill. Cuffie’s hands never healed completely and she often drops things when her fingers go numb unexpectedly. But with a resilient spirit and a strong mind, she has been trying to piece her life back together. When the Newsday visited her at home last Wednesday, Cuffie was busy trying to repaint her living room set as she prepares for her favourite time of year. The discomfort she experienced holding the paint brush to finish painting her coffee table was evident but the already-finished pieces drying inside the house told of her determination. She began her Christmas preparations in mid-November, long before most others. “I can’t do much things in one day, so every day I will do how much I can and then rest. Easy, easy I getting it done,” she said with a smile. Cuffie, who was employed as a firearm officer with a security firm when the incident happened last year, has not worked since. She receives a public assistance grant of $1,150 and in early 2017 was given a monthly grant for one year by the state to help her along. 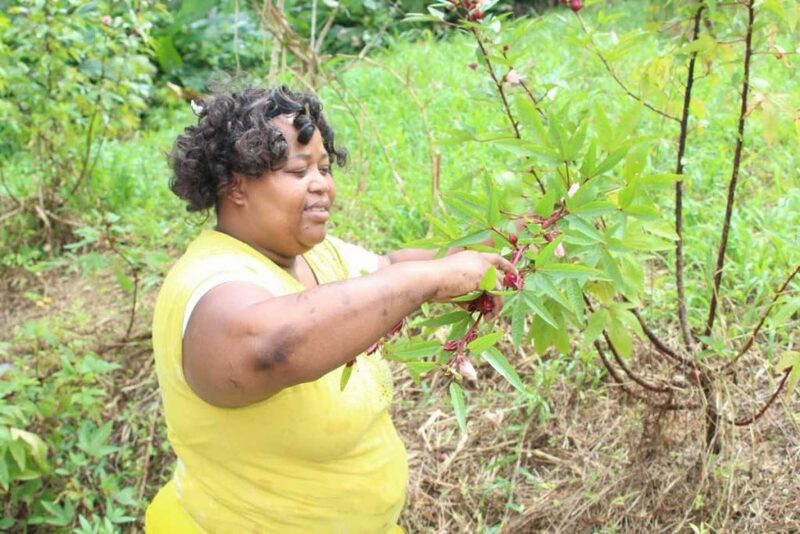 Sally Ann Cuffie cuts sorrel from garden. Cuffie tried to save her six-month-old granddaughter when a scratch bomb was flung into their car. 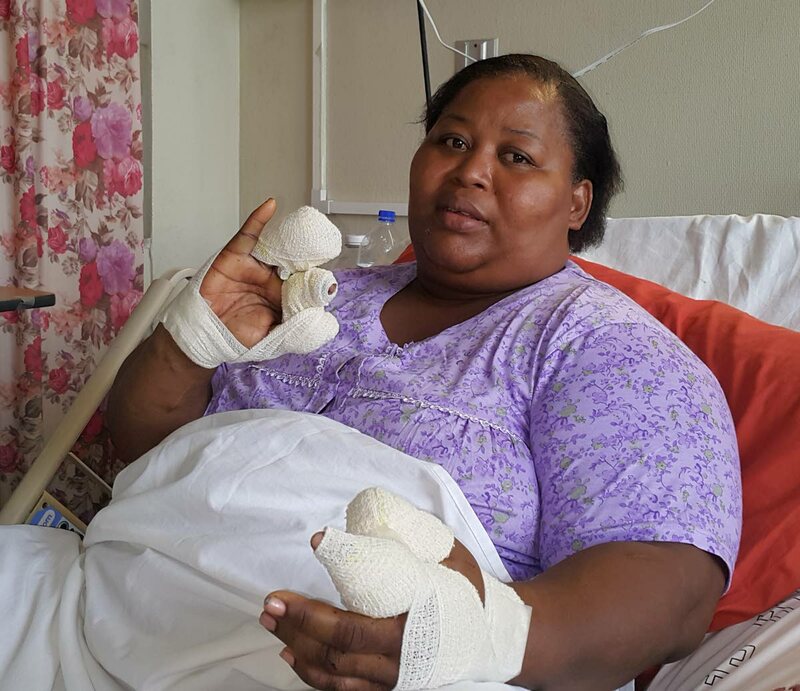 The scratch bomb blew up in her hands, severing pieces of her finger. 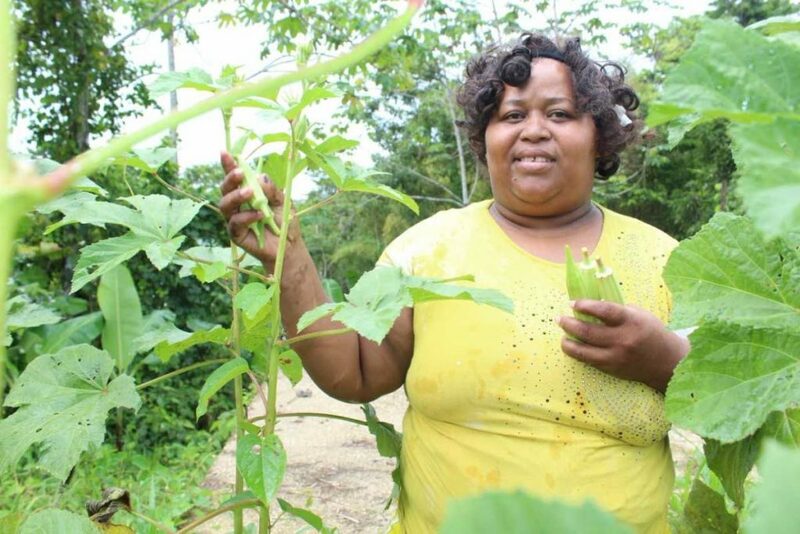 She plants ochro, sorrel and other vegetables around her house to help offset the costs of going to the market but says there are days when her cupboards are bare. But she isn’t looking for hand-outs. “I left my mother’s house when I was 11-years-old to live with my father and since I finish school, I working to take care of myself. When I started having my children, I worked to get them the things they needed and all of them have made me proud. I can sit down today and say I didn’t raise no bandits. What she is looking for is employment. To prove her point, she brought out a small throw pillow which she had covered in a Christmas-themed print. “I making one each for all the chairs in my gallery,” she said. “Nothing don’t hold me back. I would never wish what happened to me on anybody but everybody deserve a second chance. Anyone who wishes to contact Cuffie can call her at 297-7844 or 715-3566. Reply to "Woman injured by scratch bomb puts life back together"